Why We Use Them: Retinoids and derivatives of retinoids are systemic or topical products thought to directly affect the over-secretion of the sebaceous glands, which is considered the primary cause of acne. These products are prescribed in abundance to individuals who seek help from a dermatologist in treating their acne. Systemic use of retinoids (Accutane & and its generics) is mostly recommended for severe acne. Accutane (Lsotretinoin) helps to decrease sebaceous gland secretions systemically. It usually takes up to 6 months to see the difference and patients are asked to sign a legal release because of severe health risks associated with those products. Retin-A (tretinoin) cream is often prescribed for severe and persistent cases of acne, and it also has to be used for at least 8-12 weeks. Differin (Adapalene) is a retinoid-based topical medication with a recommended treatment phase of 8 to 12 weeks. Exacerbation of the existing skin condition is frequently observed with Differin prior to improvement. Retinoid derivatives have a multitude of side effects, such as dry, red, over-sensitized skin, and all require serious sun restrictions. Accutane is presently the subject of a class action suit due to its severe health hazards and has been taken off the market. Accutane and its generic formulas still available on the market are known potent teratogens (cause birth defects) and are strictly contraindicated in women not practicing a proven method of birth control. Accutane has been reported to cause severe depression, especially in young men. These products do not prevent new acne from forming. Why We Use Them: Antibiotics are topical or oral products that non-specifically kill part of bacteria associated with acne. Even though these products are prescribed in abundance to individuals who seek help from dermatologists, internists and general practitioners, for all stages of acne, many representatives of the medical profession are now having second thoughts about liberal use of antibiotics in general as it leads to development of new strands of bacteria that are antibiotic-resistant. Systemic antibiotics include tetracyclines, minocyclines and doxycyclines. For non-inflammatory acne, anti-microbial cream Azelex or Azelaic acid is often prescribed. It requires at least 4 weeks of treatment. Topical antibiotics such as Cleocin T (clindamycin solution) or erythromycin are often combined with benzoyl peroxide. Antibiotics do not really treat causes of acne, and when you stop taking them, their impact on bacteria stops as well. There are strong warnings against use of systemic antibiotics by young teens and pregnant or soon-to-be pregnant and lactating women. 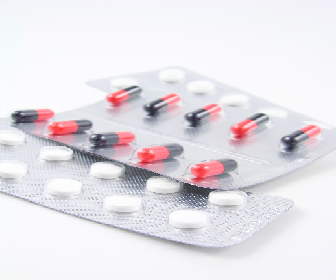 Antibiotics may cause severe GI problems and allergic reactions. Since these products do not address the cause of acne but rather the bacteria trapped in the excess sebum, the do not prevent new acne from forming once they are stopped. Oral antibiotics in particular are not specific for acne, which means they may kill bacteria that your body actually needs in order to stay healthy. The indiscriminate use of antibiotics is being strongly discouraged in the medical field due to the increasing appearance of bacterial resistance. Why We Use Them: OCs are often prescribed to control acne breakouts as "off-label" usage, which means most of them have not even been approved for this use. Diane-35 is a hormonal drug (cyproterone-ethinyl estradiol) that was used to treat hormonal acne, especially acne resulting from too many androgens (male hormones). It is also an oral contraceptive (birth control pill) with low estrogen levels. Diane-35 is not approved in the US, but it is available in Canada, and like many other drugs, unfortunately finds its way to US consumers through so-called "gray marketing." Ortho Tri-Cyclen is a combination of estrogen and progestin, which is a synthetic form of progesterone. YAZ contains a combination of estrogen and a form of progestin called drospirenone and is now the subject of class action suit. 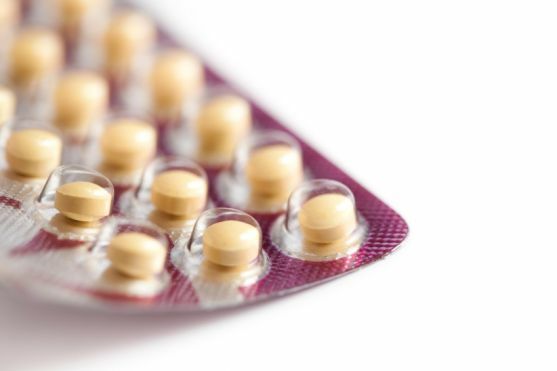 Currently, the FDA is concerned about the side effects of 10 brands of birth control pills sold in the US, and 4 of the pills that are on their list are the subject of a class action suit (Yaz®, Yasmin®, Beyaz®, Ocella®). The FDA has " black-boxed" them, which means it forbids any public promotion of those products. Diane-35 is presently being investigated for a number of deaths, possibly caused by blood clots, and for non-fatal cases of thrombosis and arterial thrombosis. Please note the FDA warnings on many oral contraceptives and consider why the FDA has stopped any advertising of these products to the public. Read the reports on the OC Diane-35 that originated in Europe, Australia, and Canada. The pill is strongly not recommended to be used by younger teens or non-sexually active adults due to the long-term effects on hormonal balance and health of the reproductive system. To learn more about the risk of OCs for controlling acne breakouts, check out this article. Because of the list of side effects of so many of these treatments, many people come to us because they want a safe, clinically validated, natural treatment that actually works. And the results are astounding!